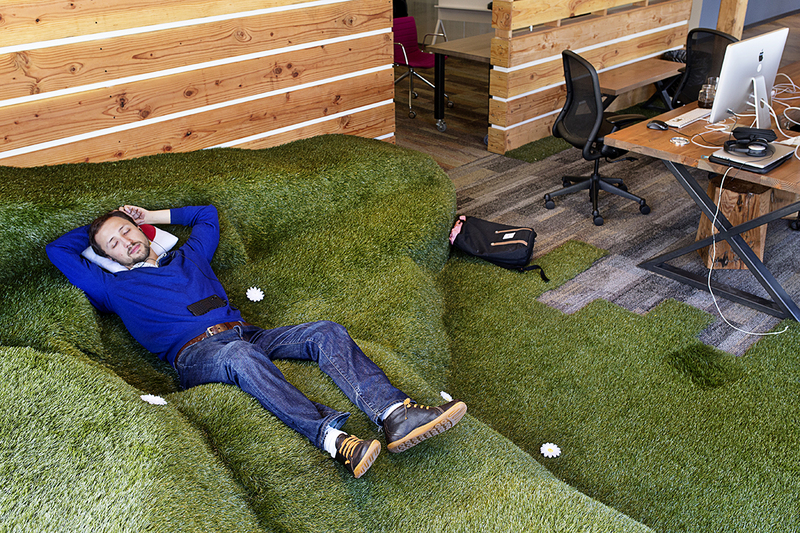 Lev Konstantiouskly takes a nap on a break from the data science program he was attending at the co-working space Galvanize in San Francisco, Calif., on Friday, March 27, 2015. Galvanize, a hybrid company that combines tech office space with a school, has several campuses around the country in addition to the one in San Francisco. The campus is themed around San Francisco parks, including this common area, which is built to resemble Dolores Park.